We offer two extremely versatile, CEM II early strength cement types in the 32,5R and 42,5R strength classes. The difference between the two is dependent on the strength gain over different time periods, as well as application. We are a primary producer and our products comply with SANS 50197-1, bearing the SABS mark of approval. Not all cements are made equal – all the contents of Mamba Cement has cementitious value. Our cement is produced in the newest cement plant in South Africa using a high quality limestone deposit. Mamba Cement is pure in performance meaning that contents have cementitious properties. Mamba 42,5R consists of cement clinker, gypsum and fly ash, in accordance with defined CEMII specifications. Mamba 32,5R is manufactured in accordance with CEMII specifications including cement clinker, gypsum and fly ash. Suggested concrete and motor mixes are provided on the back of the cement bag, these mixes are based on generally available types of sands and aggregates. The Call Centre will arrange for a competent person to provide advice in the event the user requires technical assistance. 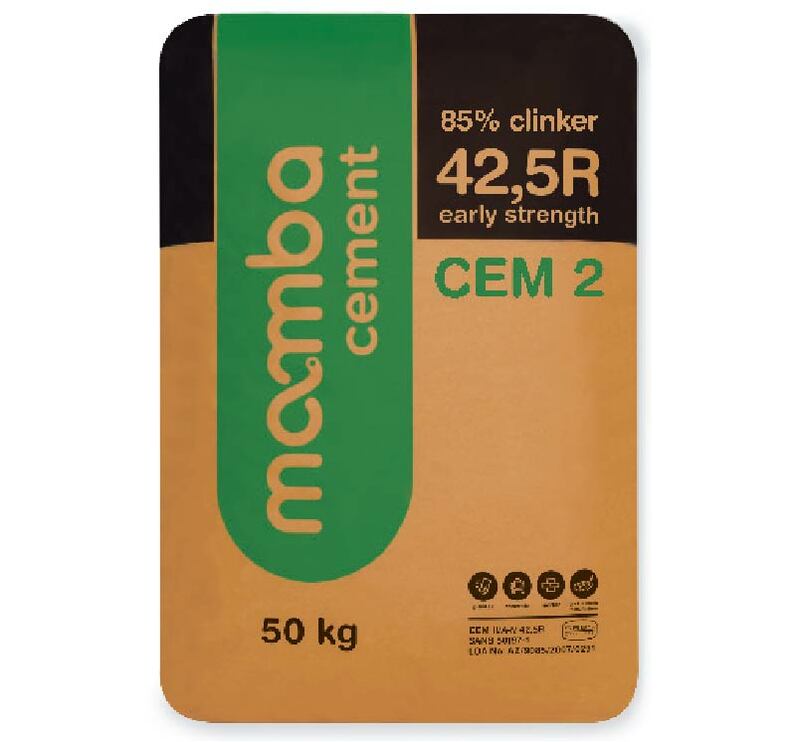 Mamba Cement is readily available including many building materials suppliers and retailers. 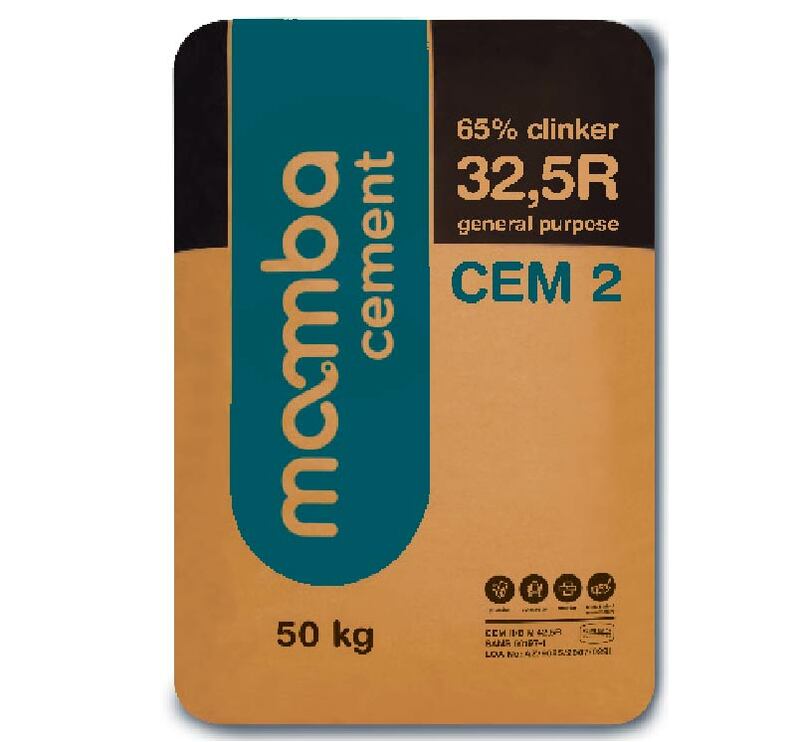 Please contact Mamba Cement to find a supplier near you.